Located in the heart of the Balikpapan business district, ibis Balikpapan stands out as one of the leading business hotels in the city. Its close proximity to the shopping district and major transport services and the warm service provided by its attentive staff make it perfect for both business and leisure travelers alike. The hotel is just a 20-minute drive from Sepinggan Airport. ibis Balikpapan is ideally located for business travel and leisure with close proximity to Sepinggan International Airport. ibis Hotel offers to explore the important landmarks of the city and tourist attractions. ibis Balikpapan is ideally located for business travel and leisure with close proximity to Sepinggan International Airport. ibis Hotel offers to explore the important landmarks of the city and tourist attractions. 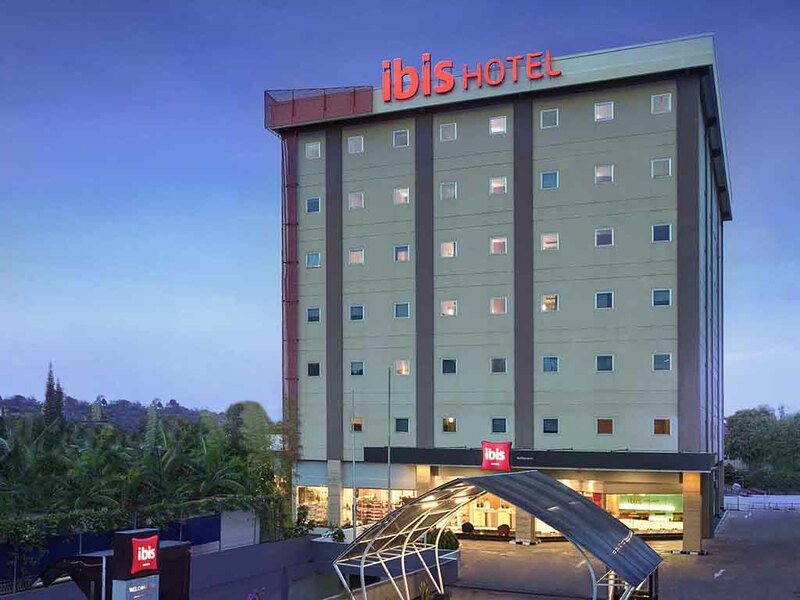 Located in the heart of business district, ibis Balikpapan is just 20 minutes by car from airport, 5 minutes from the nearby shopping centers and 20 minutes from the harbor. It is also only 200 metres from the seaside. ibis Balikpapan is strategically located for business and leisure activities with close proximity to the Airport, shopping mall and transportation service. Offers 155 new generated rooms, a Meeting Room, in-house Restaurant and Bar. Ibis Balikpapan has 156 contemporary and comfortable rooms equipped with air-conditioning, a bathroom with a futuristic design, telephone, cable TV and coffee and tea making facilities. The pleasure of good food, à la carte. Mealtimes throughout your stay means the chance to discover the culinary wonders of our ibis restaurants, ready to welcome you 7 days a week, 365 days a year, open from at least 7h00 pm to 10h30 pm every night. We start from the room, overall is good but the towels give a bad smell. The price is quite affordable. During breakfast, this is the important thing that did not disappoint us, so delicious. We find the Ibis Hotel is our reliable friend, always clean, everything works, great breakfast and friendly staff. The location is very handy and central, with the extra attraction of the food market in the Garden Park, less than 100 Meters away. And last but not least is the permission to use the Novatel Swimming Pool and towel facilities I like to swim, and the pool is long enough to get some decent laps in. I liked the idea about no mineral plastic bottle in the room. It was a nice surprise to have a welcome concoction of chocolate cookies and avocado drink specially made and waiting for me in the room when I checked in. It came with a nice card handmade by your FNB team. Nice touch. Everything is good and in order. The staffs are friendly and helpful. Perhaps can check the syampoo container of toilet, not function smoothly. Thank you so much & very appreciated. The staffs were friendly, the room is quite spacious and the bed is comfortable. Unfortunately, i found some stains on the bed sheet. Staff are nice, breakfast menu was good, but as usual, I still found dirty spots on the linen. The shower hose was already broken, water leaked through this hole. The drainage in shower box was clogged with hair. I had to open it to let water drained from the floor and this is not the first time I found the same problem during my stays in Ibis Balikpapan. The rests are satisfying.